If your toddler is a fan of Winnie the Pooh characters, then this party theme is for you. With cute accents, fun menu ideas and Pooh party games, a celebration that features the gang from The Hundred Acre Wood also works well for a first birthday. To invite friends to your party these Pooh-themed, free, printable invitations can be printed from your home computer all ready to fill in and send. So easy! Cardstock cut into the shape of a honeypot. Have your child color in images of her favorite characters from Winnie the Pooh coloring pages. Cut the characters out and paste them to the front of a note card. Write the party details on the inside of the card. 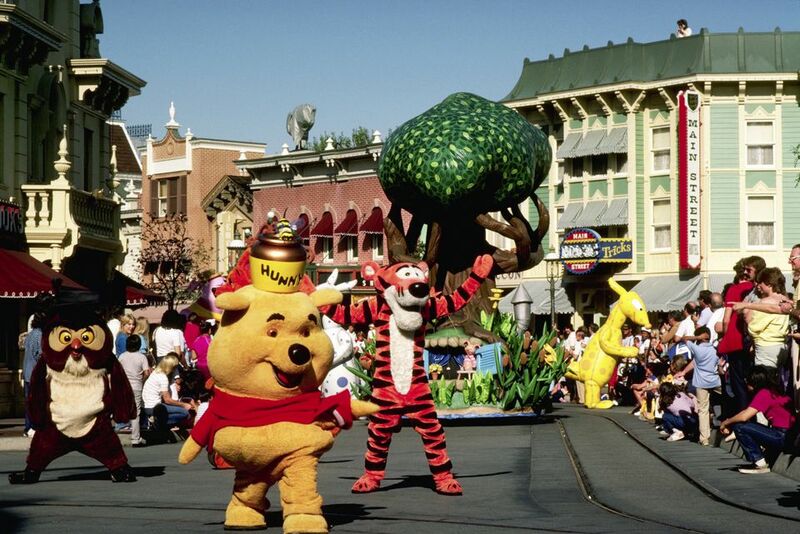 Take a photo of the birthday child wearing a Pooh character costume or holding a plush Pooh friend. Use this photo to create postcard style invitations. Decorating for a little kids' party can be easy since most kids are thrilled with simple streamers and, of course, balloons. You can use a color scheme of red and yellow, the colors of Winnie the Pooh, or incorporate the colors of your child’s favorite characters, such as pink for Piglet or orange and black for Tigger. Balloons that are shaped like or feature Pooh and friends can also be found at party supply stores. Another fun way to decorate with balloons is to tie cutouts of the characters (print them onto cardstock and color them in) to ribbons that hang from helium-filled balloons. Tie each character to a balloon that matches its color. Allow the balloons to float up to the ceiling, leaving the Pooh friends dangling just above the party space. Plush friends like Eeyore, Kanga, and Pooh, can also be used to decorate the party space. If you collect enough of them, you can set one at each place setting at the party table. Or sit them in a circle in the center of the table, and tie some balloons to them to create a Winnie the Pooh centerpiece. Cut shapes of trees that resemble the homes in the Hundred Acre Wood. Tape them to walls and label them with the names of the characters that live in them, such as “Piglet’s house.” Pitch a pop-tent in the party space to resemble the home of Eeyore. Bumble bee decorations (compare prices). Honey-inspired menu items, such as peanut butter and honey sandwiches are a fun idea for this party theme. Keep in mind, however, that honey is not good for babies (under age one), and remember to check for the possibility of guests with nut allergies. Gather the kids into a circle for some Winnie the Pooh story time (compare prices). Have adult guests take turns reading a few favorite Pooh books to them. Play Freeze Bounce: Kids bounce like Tigger as music plays. When the music stops, they must freeze in place. Send guests home with a Pooh-themed party favor. Boxes of honey graham crackers or hunnypots filled with treats are just a couple of ideas for parting gifts.